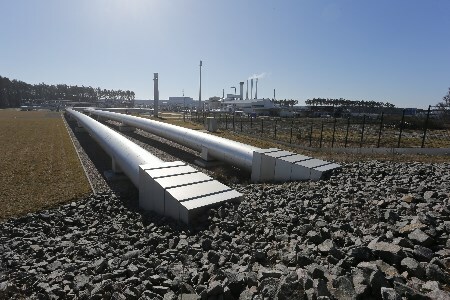 Nord Stream AG will temporarily shut down both lines of its gas pipeline for two weeks due to routine maintenance works. This year’s inspection is scheduled to take place from 17 July to 31 July 2018 as part of the annual inspection cycle. “Regular maintenance is necessary to operate the Nord Stream twin pipeline safely, efficiently and reliably. Since its start, the Nord Stream pipelines have enabled the stable delivery of natural gas for Europe. The two-week shutdown allows us to maintain our highest standards”, Nord Stream AG’s Managing Director Alexey Zaytsev pointed out. These scheduled annual maintenance works are an essential part of Nord Stream’s long-term Pipeline Integrity Management Strategy. Mechanical components and automation systems are thoroughly tested to ensure reliable functioning of the twin pipeline throughout the year. The temporary interruption of supplies has been factored into the nominations of gas to be transported via Nord Stream to downstream European partners. That said, the works have been scheduled in close co-ordination with Nord Stream AG’s upstream and downstream partners so that gas supply to European customers during that period is ensured via the alternative transportation route.